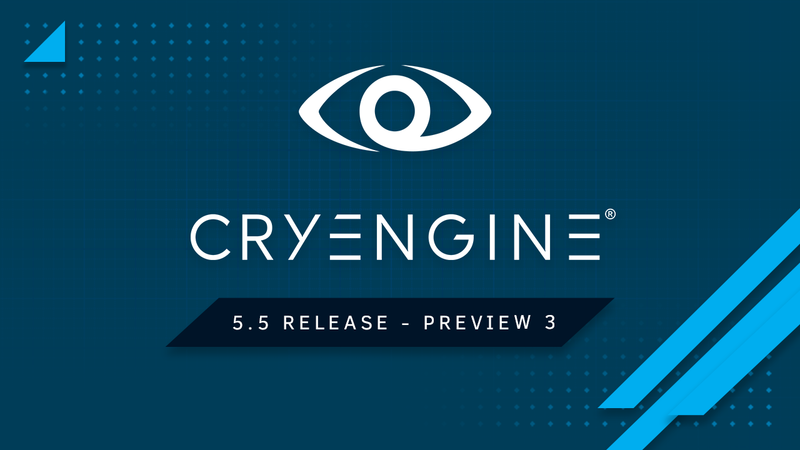 CRYENGINE 5.5 Preview 3 Live Now! Welcome to CRYENGINE 5.5 Preview 3! As you know, work never stops on the development of the engine, and today’s update pushes things forward with 400+ improvements. Again. We couldn’t have put this update together without the help of our community, so as ever, we’d like to thank everyone for all your feedback and suggestions. Keep it coming! CRYENGINE Preview versions are now available through the CRYENGINE Launcher. Having logged into the CRYENGINE Launcher go to LIBRARY -> My Engines where your currently installed and available Engines are listed. From there Engines can be updated (installed). CRYENGINE Previews can still be obtained from GitHub as can full Sandbox Editor source code. For more information on getting started with the CRYENGINE source code from GitHub please visit our technical documentation on Building the Engine from Source Code. 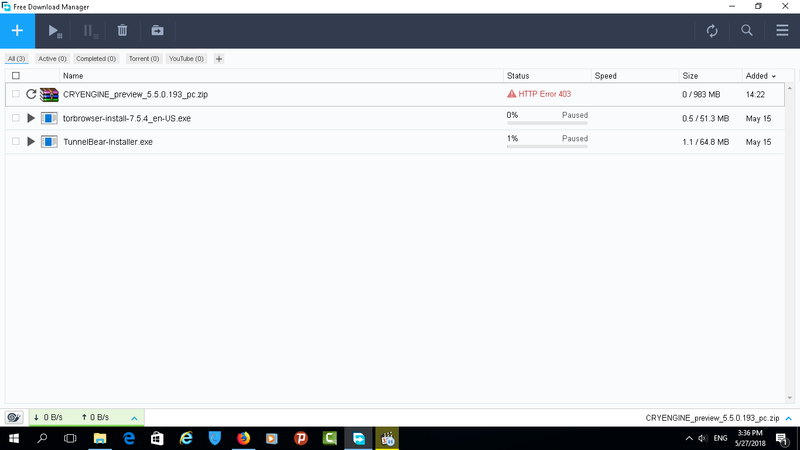 UI: Dependency Graph window is not responsive when opening from a selection window. WORKAROUND: It can be closed from the Windows tray bar, however if you don't have separate icons enabled for the different editor windows on the tray, then this can be an issue. NOTE: Opening the Dependency Graph say for example from the Asset Browser or from the global menu Tools -> Dependency Graph works fine. RENDER: (PARTICLE) Particle 'new_year' is not being rendered correctly. RENDER: (EDITOR ONLY) Shadow square following camera. RENDER: Some brushes could flicker directly after level load. RENDER: SkyBox could be broken after several level loads. CRASH: (VS2017) After compiling and running the Engine with VS version 15.7 the Engine will crash (exception thrown), the problem originates from the last command in (Editor\Python\plugins\crytools\startup.py ). For more information about this topic click here. C#: Using the CRYENGINE C# extension for Visual Studio 2017 to start the GameLauncher, Sandbox Editor or Server can cause an error when used in the latest version of Visual Studio 2017. As we have 400+ new changes, fixes and updates, please check out the full list on our Release Notes page on CRYENGINE Documentation. As a polite reminder, this is an experimental release and features are subject to changes, bugs, and gremlins, as you’d expect with a beta production. Please back up your projects before working with any of our latest builds to make sure your core project is safe. If you find an issue please reach out to us via the thread on the official CRYENGINE forum or report issues via GitHub Issue Reporter. In case of engine crashes, please use the Crash Reporter in the launcher when it pops up and don't forget to attach all reports! We hope you enjoy the build and we look forward to seeing what you can do with it. Re: CRYENGINE 5.5 Preview 3 Live Now! I see in CE 5.5 p3 in github / this link : CRYENGINE_preview_5.5.0.193_pc.zip , Compiled ? Sandbox.exe CryEngine 5.5 Preview 3 is available this link in gitthub ? I can compile UE4 , Lumberyard , but I can not compile CE 5.5!!! I can't open the editor in preview 3. It's always crashing while opening up. Instead of updating try a fresh install. I had to reinstall from scratch, works fine now. Sandbox.exe CryEngine 5.5 Preview 3 is available this link in gitthub ??? But it does not contain assets (or Assets folder) nor is it set up for templates, but that's a simple task. It's actually not the preview 3 that causes the crash but it seems like it's the GameSDK that is not compatible even when updated to the newest version. Problem is Github. I have bad download speed there too. Think they cap it. Just have to keep on trying.